In some cities, all it takes to become an Uber driver is a background check and a quick car inspection. In others, signing up to drive takes weeks to process and thousands of dollars. 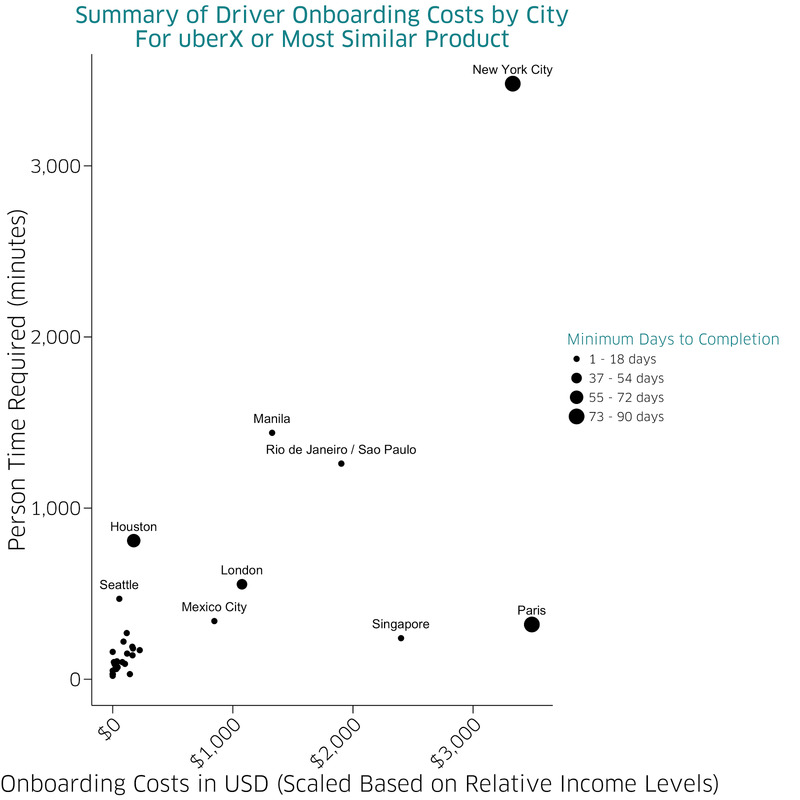 UberNew York City requires the most time and money to become an Uber driver. 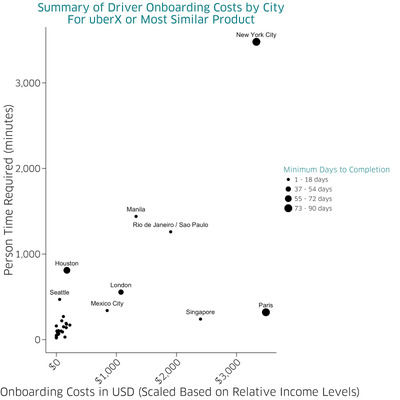 Even though New York City may be the most time-consuming and one of the most expensive places for Uber drivers to start driving, it’s generally easier to become an Uber driver in the US than Europe and Asia. Consequently, people are more likely to drive part time in the US, as they don’t have such high costs to make up: Uber found that more than 60% of drivers in the US use the app for less than 10 hours a week of work. In Asia, that number drops to 51%. In Europe, only 31% of drivers use the app for less than 10 hours a week.